Watercolour with Guest DT Sathya! Am Sathya here again with second inspiration of my Guest Design series. 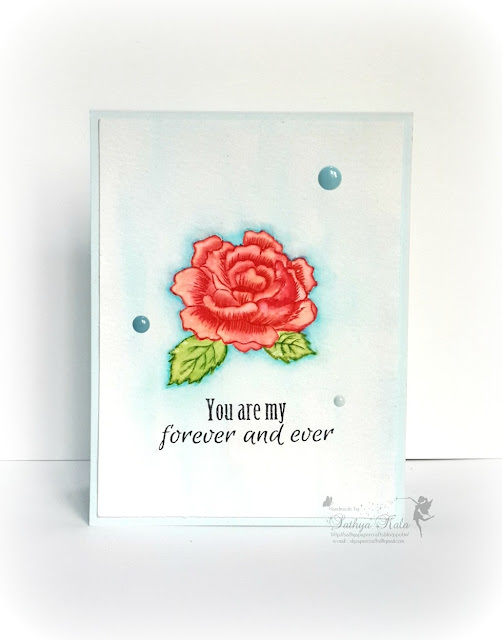 Today’s card is using So Suzy stamps : “Rose Bloom” and “Forever and Ever”- Don't forget, the shop is closing down on the 16th until the New Year so grab everything possible now! · I love doing watercolor projects and coloring and so this attempt on noline coloring today. 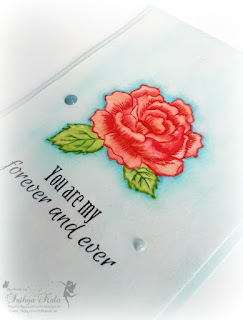 · Took a watercolor cardstock and stamped Rosebloom stamp using Antique linen distress ink, being the lightest ink. · Then went over with coloring using Zig clean color brushpens. 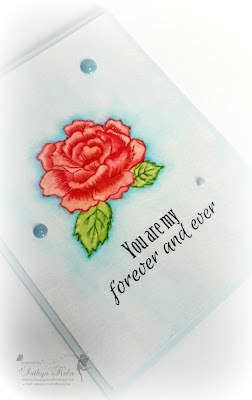 · Then masked the whole image using Masking fluid and colored the outline of the bloom and the surrounding area randomly with Light Blue Zig cleancolor brush pens and added water to give a nice waterwash look. · After its dried totally, took off the maskingfluid by rubbing it, and it revealed the image. · Mounted this panel, onto a baby blue A2 sized cardbase. · Few baby blue enamel dots are added as accents to finish off the card. Hope you like my inspiration. Meet you next week with another inspiration.